Liberal junior forward Machia Mullens is Hay Rice and Associates Athlete of the Week. Mullens is averaging 14 points and six rebounds per game for the 8-0 Lady Redskins. Mullens scored 17 in Liberal’s win over Garden City. 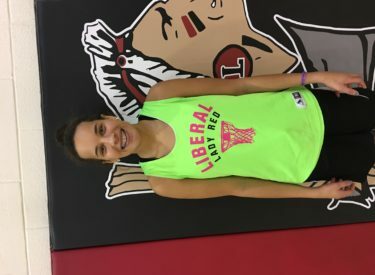 She has scored in double digits in all but one of Liberal’s games. She is also a member of NHS and plays volleyball and track. Liberal plays Wichita West Thursday at 3 on 1270 and kscbnews.net.